Young girl is drawing birds by oil colors in canvas. She is taking paint from palette by brush and laying on canvas, studio of contemporary talent creative person. 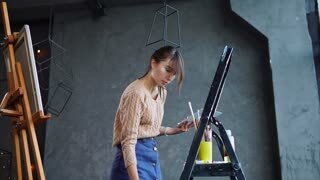 Painter is standing in studio and applying colors on a plank. Preparatory stage of painter work before drawing process. 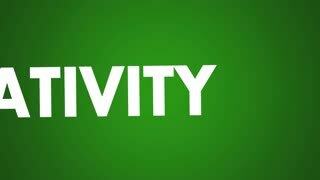 Ingenuity animated word cloud. Kinetic typography.